Since Jan. 1, the governor has collected only two campaign donations and raised only $2,040 in cash, according to his campaign-finance report filed this week. His largest donation was an an in-kind contribution worth $13,000 from Clayco, a St. Louis-based firm. The latest low totals are particularly striking, considering the millions of dollars that Nixon raised annually from 2008 through 2012 to finance two expensive campaigns. The governor’s current lack of fundraising also raises questions about what he plans to do after 2016, when he leaves office. Because Missouri lacks campaign donation limits, any money raised under the state’s contribution laws cannot be used for federal campaigns for Congress or president, which are governed by stricter campaign-finance laws. Nixon has declined to discuss his post-2016 plans, saying most recently that his primary concern at present was to govern, not campaign. And he’s not broke. Nixon still has $384,526 in the bank. 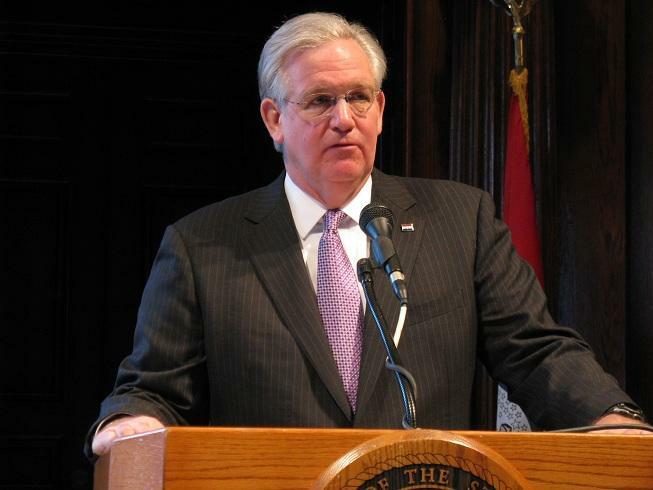 Nixon isn’t Missouri’s only statewide official to raise little money. State Treasurer Clint Zweifel, who like the governor is term-limited and can’t seek re-election, has collected only $1,005 so far this year. Zweifel has yet to say whether he’ll seek another office in 2016. He now has $251,329 in the bank. Some have speculated that Zweifel, a Democrat, may run for lieutenant governor in 2016. That talk may heighten since Lt. Gov. Peter Kinder, a Republican serving a third term, has raised only $30,610 so far this year. Kinder reported $74,082 in the bank, with a remaining debt of $1,555 from his 2012 campaign. The statewide official breaking the low-tally mold is Secretary of State Jason Kander, a Democrat expected to seek re-election in 2016. He collected $203,591 so far this year and has $392, 565 in the bank. As reported earlier, the statewide officials with the busiest fund-raising operations are Attorney General Chris Koster, a Democrat running for governor in 2016, and state Auditor Tom Schweich, a Republican running for re-election this fall and also expected to run for governor in 2016. Meanwhile, Missouri’s two top leaders in the General Assembly, both Republicans, reported middling fund-raising numbers. House Speaker Tim Jones, R-Eureka, reported raising $110,955 so far this year. He now has $962,126 in the bank for an expectedrun for some statewide office in 2016. Among the state's top money-raisers, only Koster has more in the bank. Jones’ report was notable because he received a number of donations from the health-care industry, mostly in the range of $2,500 to $5,000 apiece. Jones has been an outspoken opponent of expanding the state’s Medicaid program, as sought by the state’s hospitals. Senate President Pro Tem Tom Dempsey, R-St. Charles, reported collecting $62,750 since Jan. 1, with a bank account now totaling $196,214. Arguably the biggest news about the Senate leader's report is that his campaign committee is now listed as collecting money for a 2016 bid for statewide office. Dempsey has not publicly stated what office he may be considering. 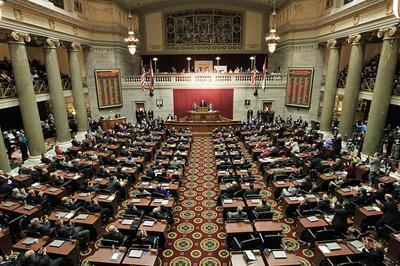 With roughly a month left to go before adjournment, many of the Missouri General Assembly’s big issues remain unresolved. That’s not too surprising. Big-ticket legislation often passes — or dies — in the last weeks of the session. With about a month to go before the final gavel falls, legislation dealing with tax cuts, the state’s criminal code and the student transfer situation are all still up in the air. The resolution of some conflicts could hinge on unity from Republicans, who control the legislature, while others may fall along less predictable fault lines. Chris McDaniel, St. Louis Public Radio. 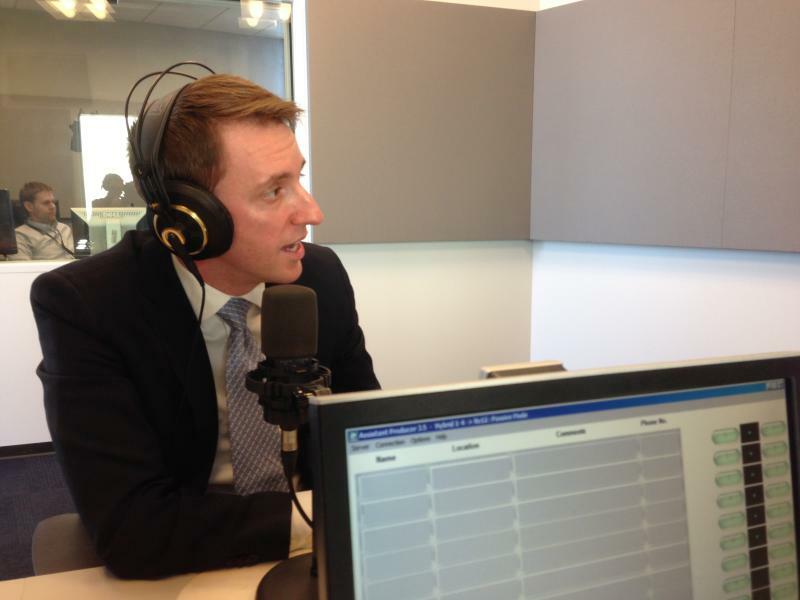 This week the Politically Speaking crew welcomes Secretary of State Jason Kander to the podcast. Kander, a Democrat from Kansas City, narrowly captured the statewide office in 2012 after a hard-fought contest with Republican Shane Schoeller. A controversial tax cut proposal has been sent to Gov. Jay Nixon, after the Missouri House passed it late Wednesday afternoon.